In the technology community, the lean startup model is a common strategy used for new businesses. According to The Lean Startup, the lean startup method provides a scientific approach to creating and managing startups and get a desired product to customers’ hands faster. In lean terms, inexpensively creating a product that can be tested with customers is called the “minimum viable product (MVP)”. The goal of the MVP is to verify that consumers are interested in your business idea before you spend time, energy and money on the project. But the lean startup method doesn’t just have to apply to startups. Here are some ways that the lean startup method can be applied to the food industry in the form of food trucks. Menu size: Food trucks don’t have a huge six page menu. They limit their menu to what they think will sell to their customers. They can also test out new products easily without making them a regular menu item. A food truck owner could even do a private new menu tasting before deciding to spend their budget on new ingredients. This strategy goes along with the verifying goal of MVP. 2. Customer interaction: One of the problems identified by the lean startup method is that a business starts with an idea they think the customer will want. But when the product isn’t successful, it is often because they never spoke to prospective customers and determined whether or not the product was interesting. 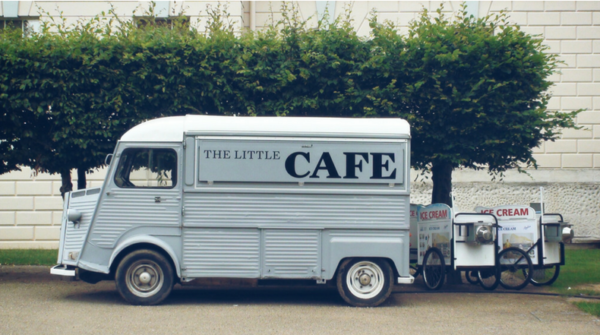 With food trucks, you interact with your customer everyday. So if they don’t like an item on your menu, you can make the change. 3. Starting costs: The cost to start a food truck is much cheaper than it is to open up a full scale restaurant. And although the lean startup model isn’t just about spending less money, this goes hand and hand with MVP because you are determining if your product will sell before you spend the money to open up a full scale restaurant. 4. Quick pivot: The idea of the “quick pivot” in the lean startup method refers to a company pivoting away from one idea to better optimize for profit. For example, a food truck could realize they are making more money catering than they are selling to customers on the street, so they focus more of their time and energy on catering. Now that we know the lean startup method isn’t just for the technology industry or startups, how are you going to apply the lean startup methodologies to your business? Read more about the startup method in the book written by Eric Ries.